Welcome to our site! We hope you will take time to visit the various portfolio presentations and examples of our work. It is by no means exhaustive … we make every effort to photograph every piece, but things do escape my notice. 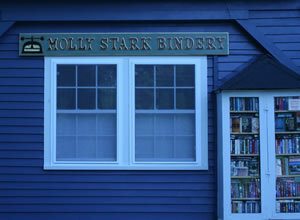 In an age when more people are turning to e-readers, one might wonder what inspired Molly Stark Bindery. 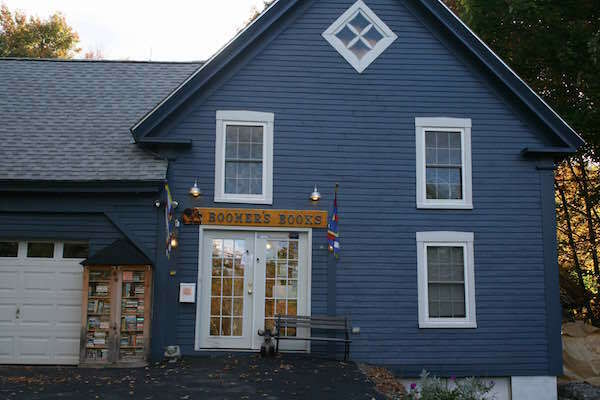 The very notion of fixing and restoring books is a tangential one, borne of our own love of books and the gradual acquisition of tomes in need of repair and care for our sister shop, Boomers Books. Having begun that venture as a virtual and show only venture, it morphed into a brick and mortar shop in 2003 out of fiscal necessity, and the fact that we had acquired many books that made excellent shop stock, but the sale of which was thwarted by a plethora of copies on line. 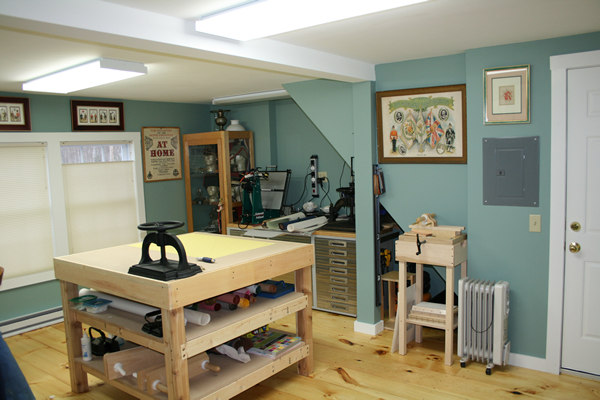 Fast forward to 2009 when I received a postcard inviting me to take bookbinding and repair lessons! I had contemplated attending North Bennet Street School or a similar program in NYC, but the convenience of going to Vermont, staying at home, and apprenticing seemed more in tune with the need to work full time and keep health insurance! And here we are, 2016! After converting the one-car garage into a bindery in 2010, and gradually promoting the trade, I can safely say the love of books and mission to preserve them is in full form. Which brings us back to those nasty e-readers! We love books - frankly we love to read - in any medium… but books have a place and we want to preserve and repair them. Our philosophy is simple. We were taught and continue to practice the least intrusive work necessary to repair the integrity of your book balanced with its inherent personal and market value. 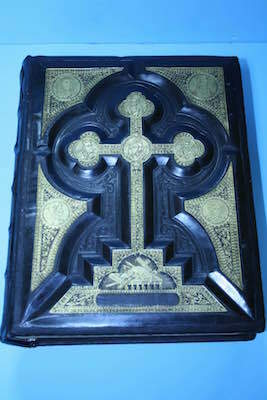 A highly valuable book that is not accessed frequently, might merit a hand crafted box or slipcase, not repair! We want you to be happy with the end product, and so, while we can make recommendations, the ultimate decision is up to you! All our materials are acid-free. Our typical wait time is 12-14 weeks. We also believe that repairing or restoring your treasured book should not be beyond means, and so we will work with you to meet your budget. Our price guideline is just that - a guide. 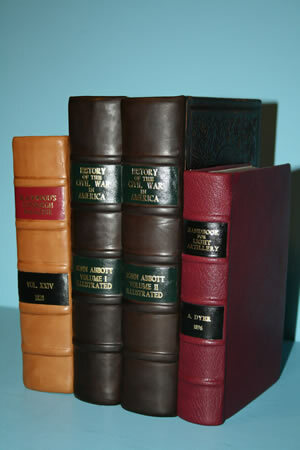 But more than anything, we believe that repairing, restoring and rebinding a book should not be made unaffordable. So browse. We want you to love your books as much as we do.